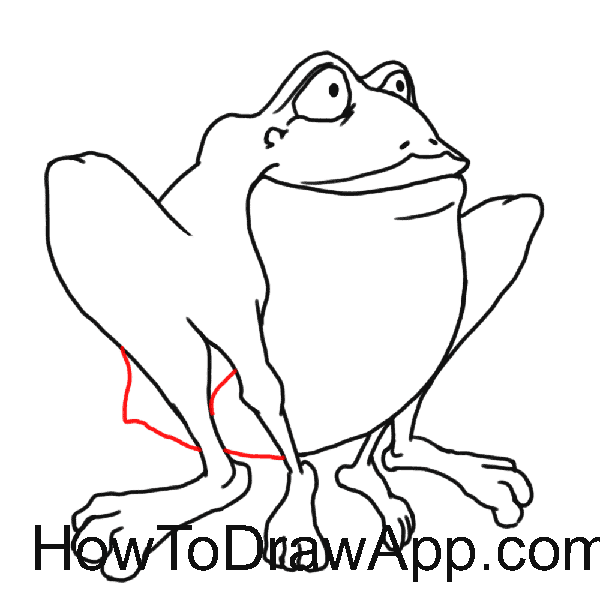 Draw the line of the tummy. Start with a small curve and continue with a bow-shaped line on the right. 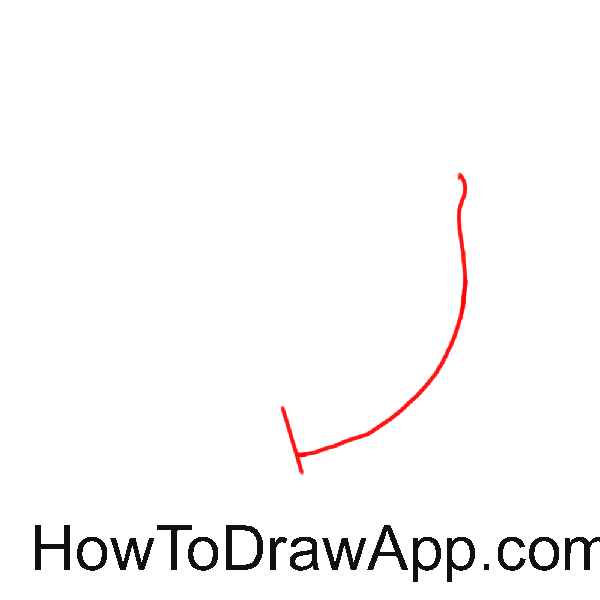 Draw a small perpendicular line at the end. 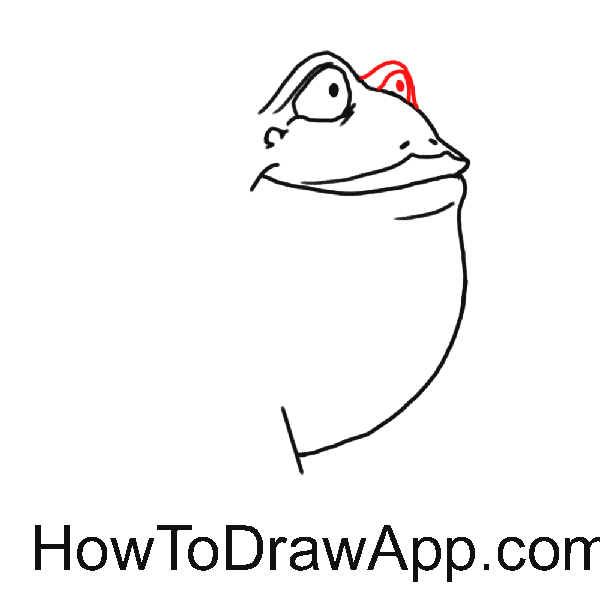 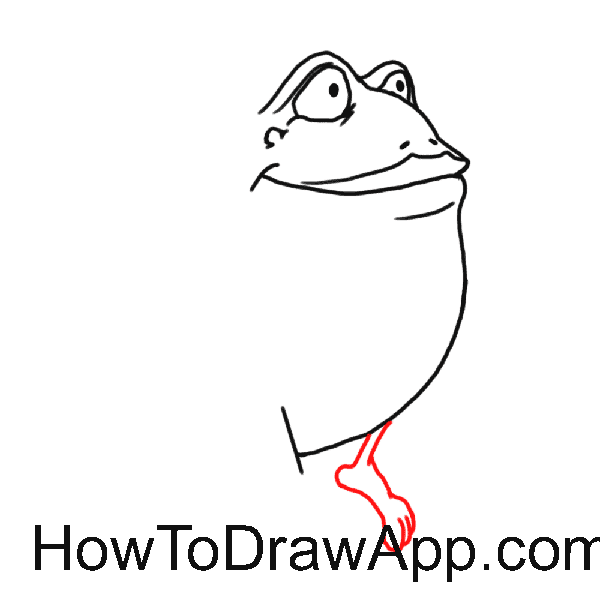 Draw a slighty curving line for the mouth. 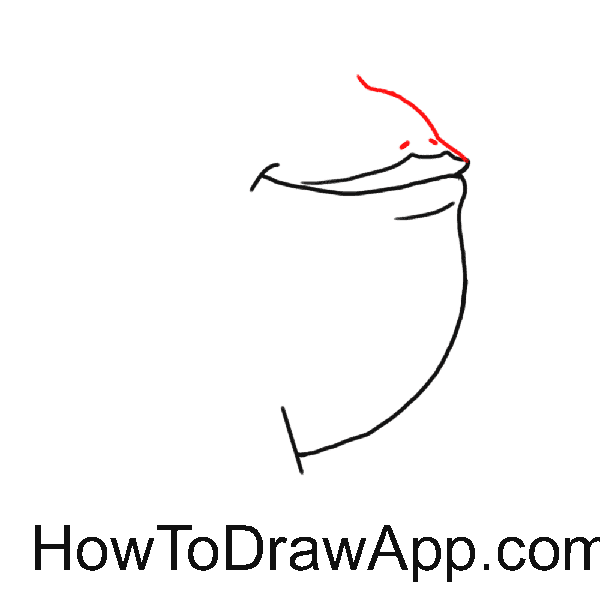 Draw a nose and start drawing head. 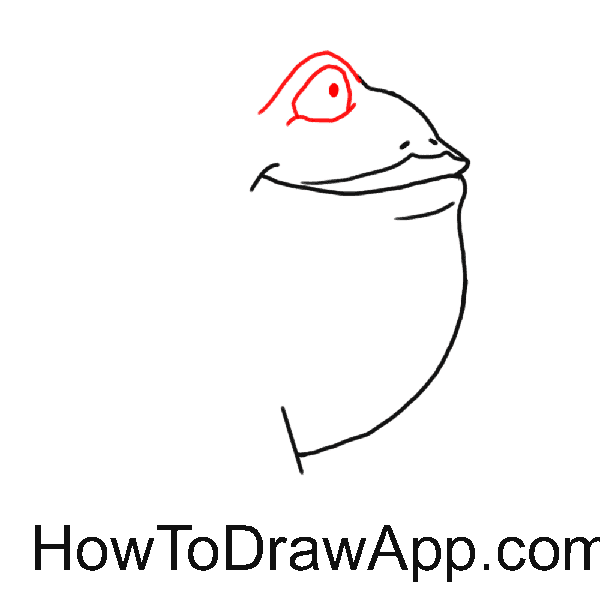 Add eyelids for the eye and a small semi-circle for the wart. Add a line of back. 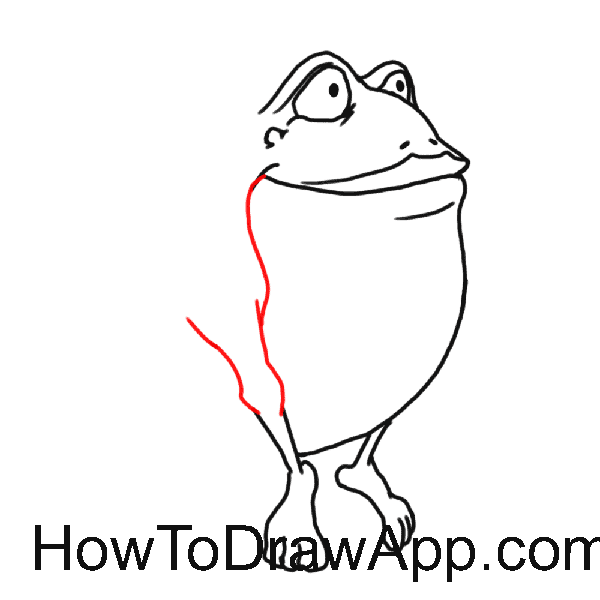 Draw a bent hind leg. 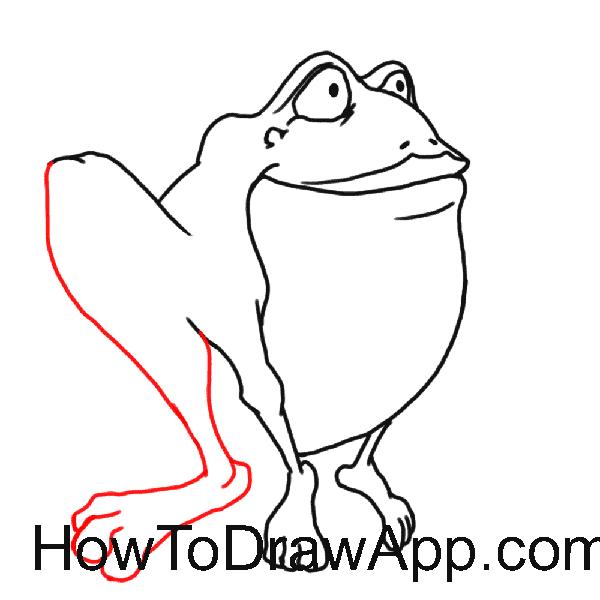 Draw the second bent hind leg. 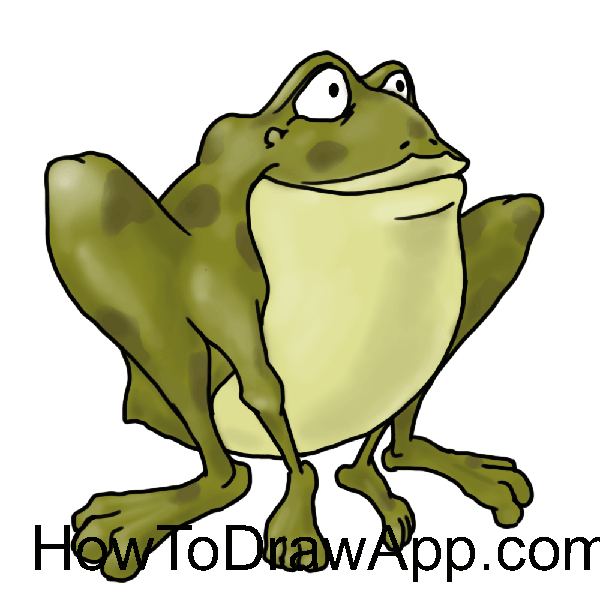 Finish the body of the toad. Add some light and shadow to the picture.